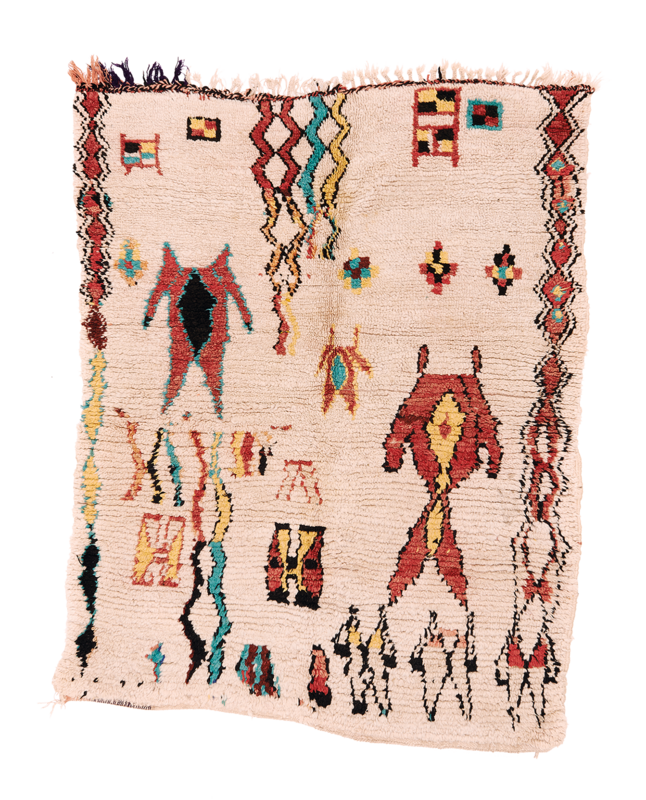 This is a typical hand-knotted rug from the Berber tribes from the Middle Atlas. Thick pile of natural wool with somewhat surprising motifs. The weaver is probably sharing a story about the tribe through this piece. As a result of its playful composition, its use of figures and its vibrant colors, this piece possesses a very joyful character. Please note the asymmetry.